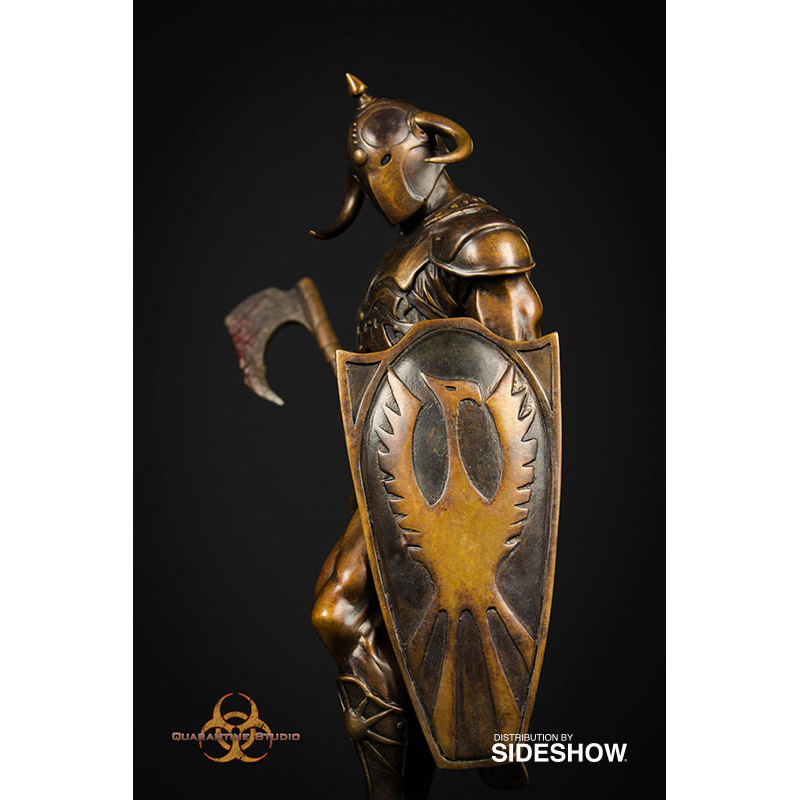 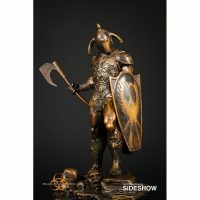 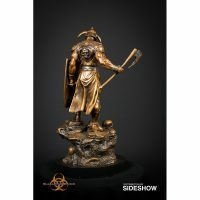 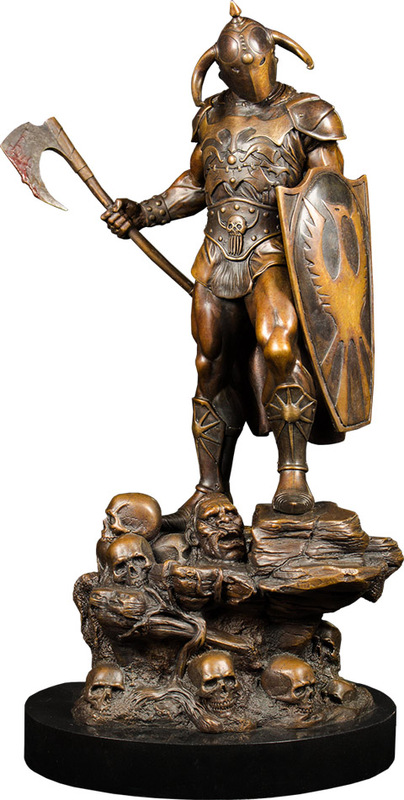 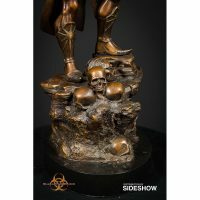 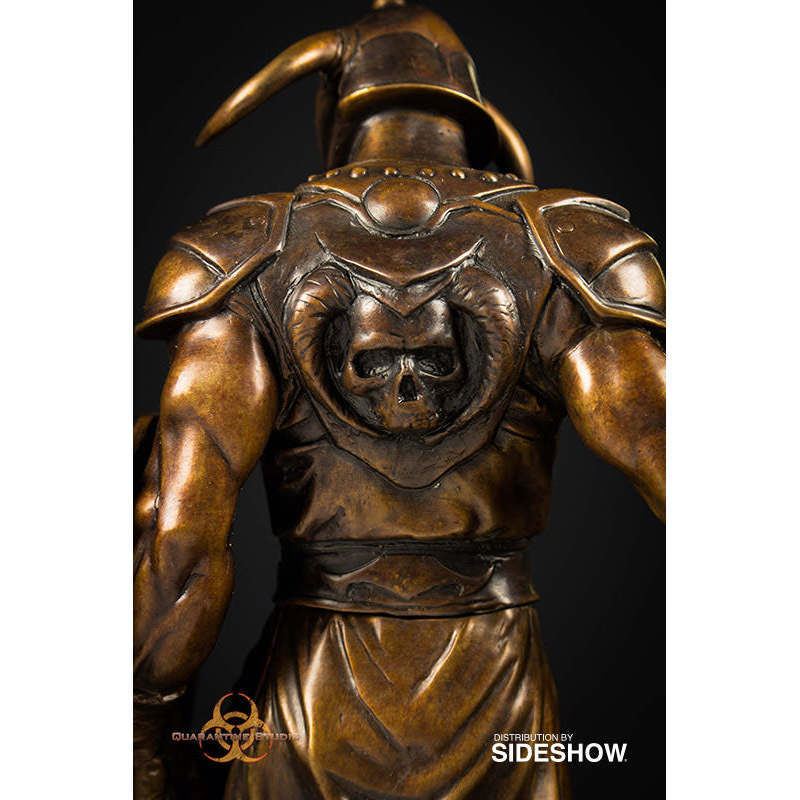 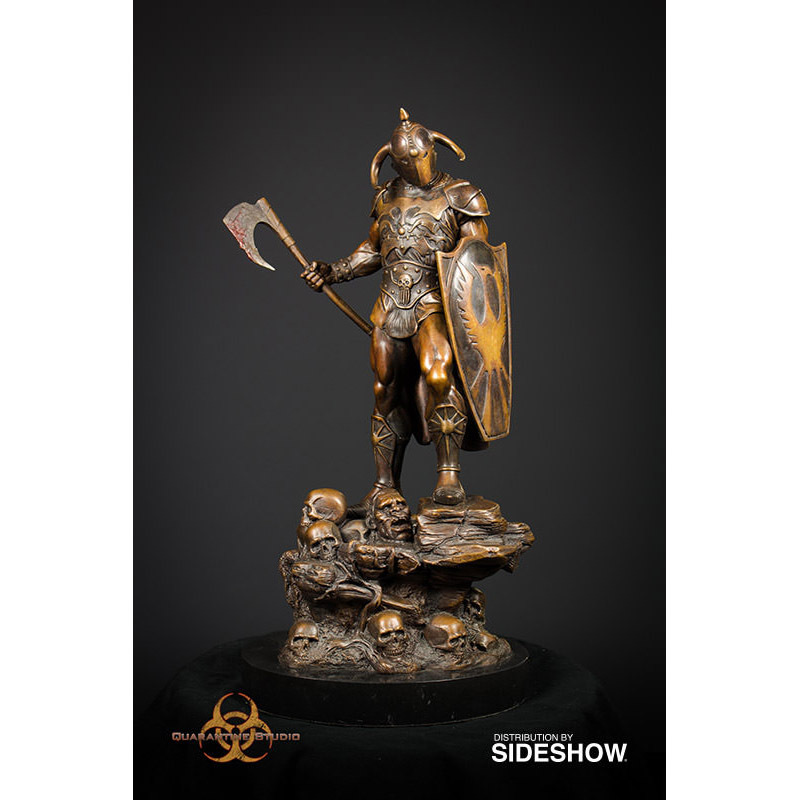 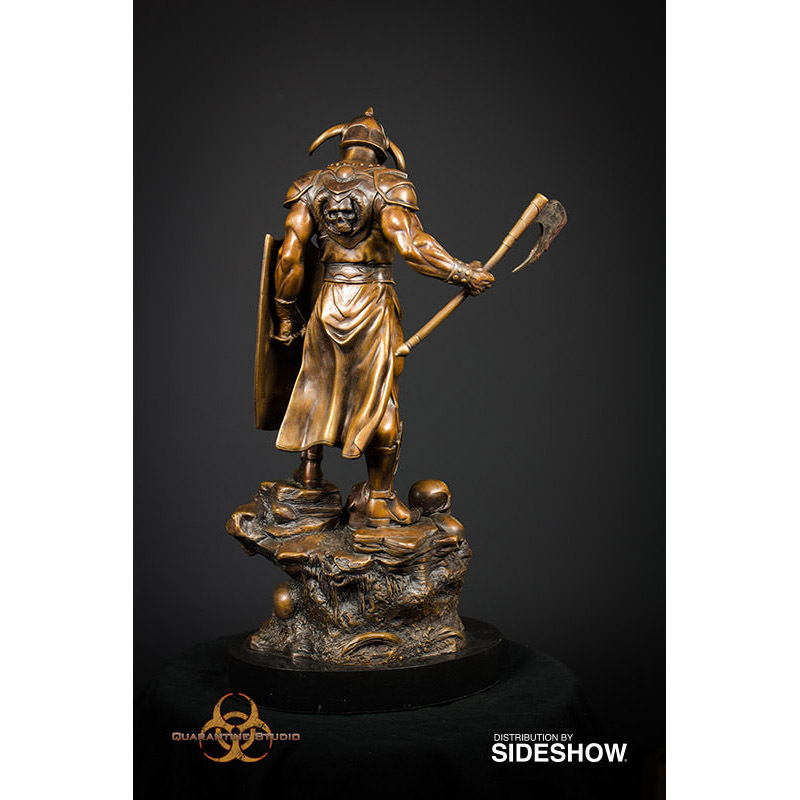 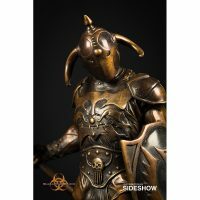 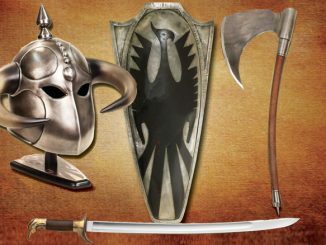 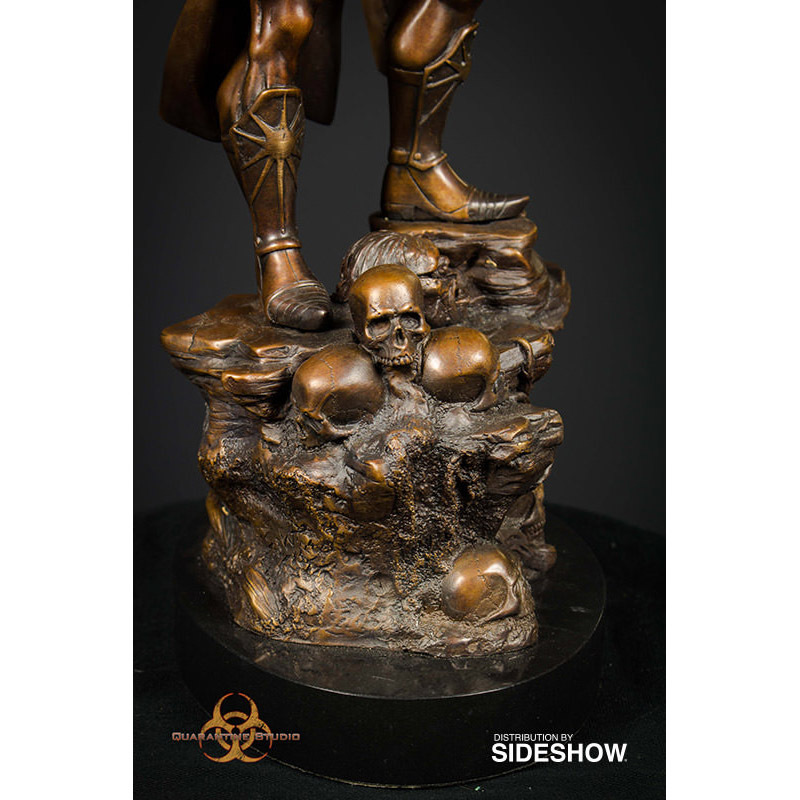 The bronze might not be real but the awesomeness is with the Death Dealer Faux Bronze Statue. 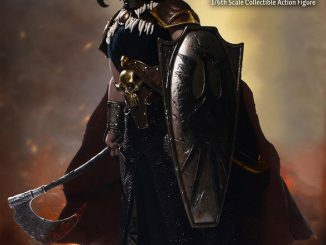 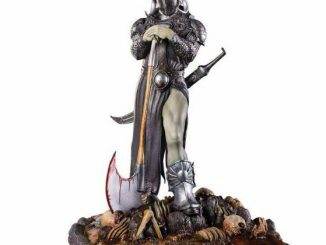 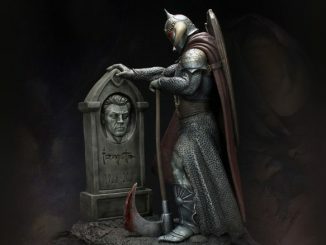 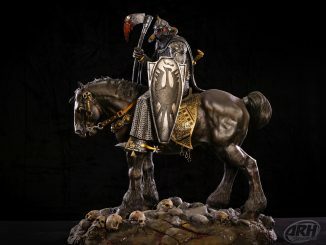 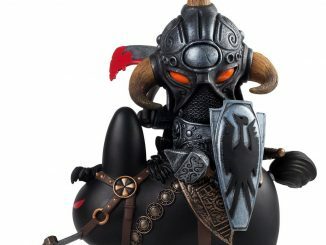 Standing approximately 14-inches tall with a faux finished marble base that is 7-inches wide and 5-inches deep, this officially-licensed and highly-detailed statue features an eye-catching look at Frank Frazetta’s legendary Death Dealer. 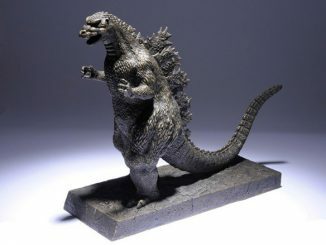 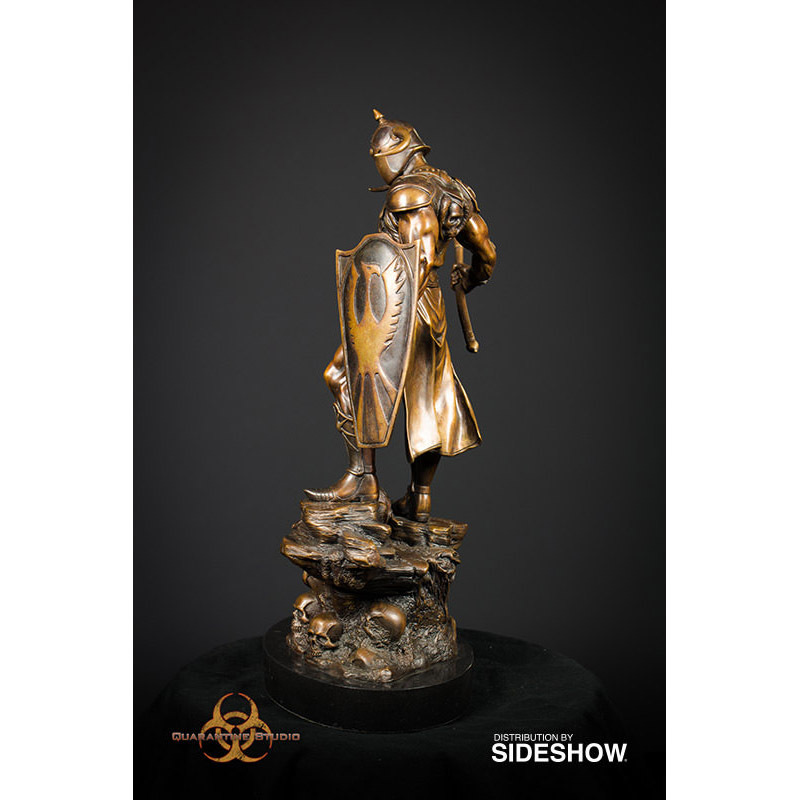 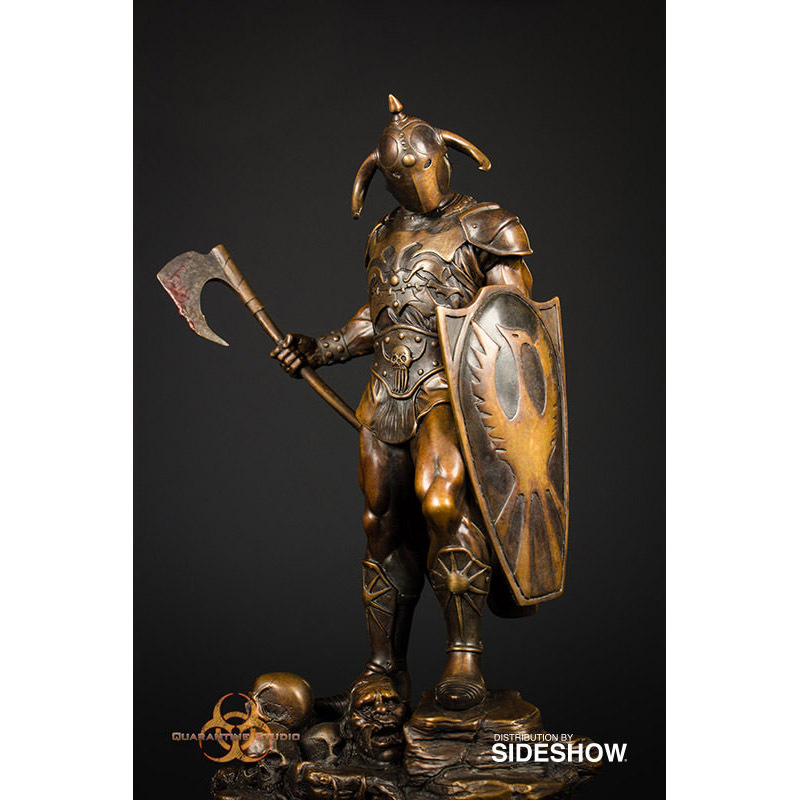 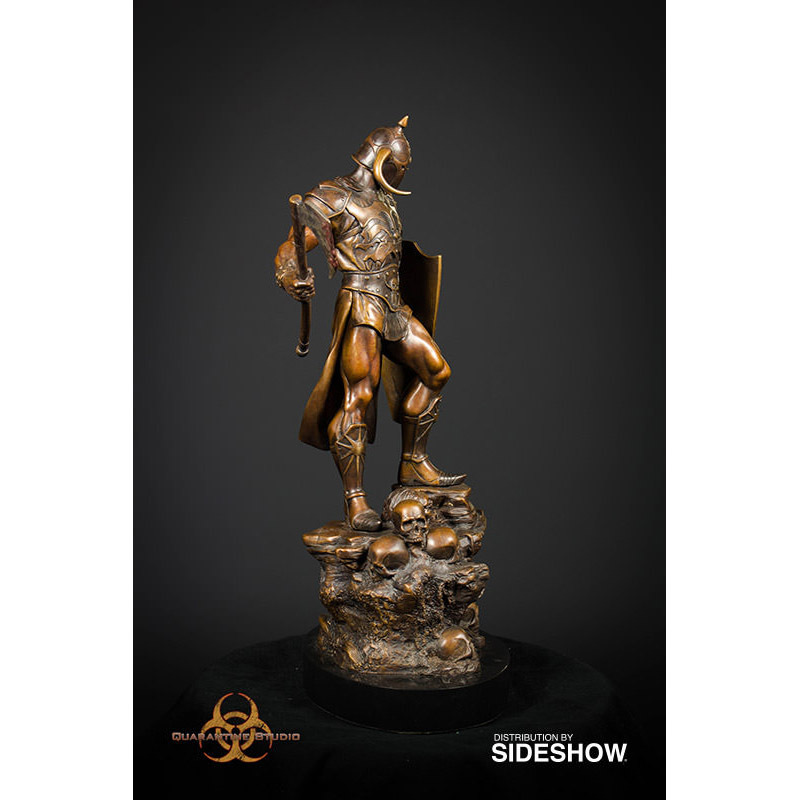 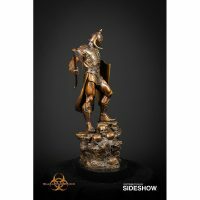 The limited edition statue is cast in polystone resin and then meticulously hand-painted to replicate a real bronze finish. 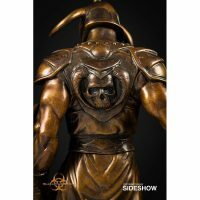 The Death Dealer Faux Bronze Statue will be available Jul 2017 – Sep 2017 but it can be pre-ordered now for $240 at Sideshow Collectibles. 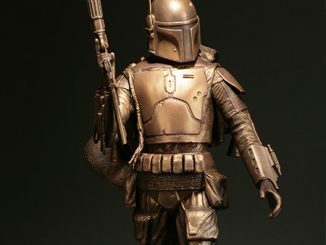 If you can’t get enough of Darth Vader and you have $18,000 burning in your pocket, this limited edition 4 feet tall and 150 lbs. 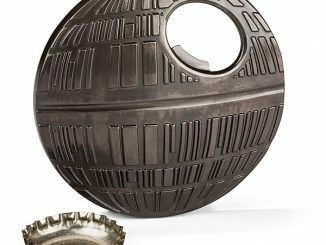 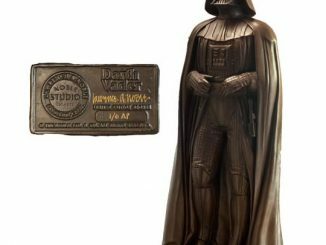 heavy Darth Vader bronze statue by Lawrence Noble might be just what you’re looking for. 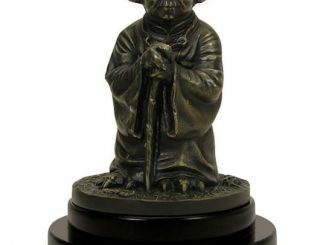 If you enjoyed the $18,000 Darth Vader Bronze Statue that we wrote about a couple of months ago, this 7.75 inches tall $1,300 Yoda version should be right up your alley.